Editor’s note: The content for this story was taken directly from the March 7 order of Chief Judge David R. Martin of the U.S. District Court in East St. Louis, Ill. Italicized material is taken verbatim from the judge’s order. All witness testimony Martin quoted was given either in court or in depositions before the trial. there was a hope that the storm would not be bad. Especially for those that had no means to get out. they realized then, they had become her main course! So begins Judge David R. Martin’s $4.3 million judgment against Teco Barge Lines Inc. for the physical and psychological trauma that crewman Tyree Webb suffered after being ordered to ride out Hurricane Katrina on a Teco tugboat at Davant, La., 50 miles down the Mississippi River from New Orleans. Webb has struggled with post-traumatic stress disorder since the ordeal nearly seven years ago. Martin says Teco was negligent and that its decision to leave two of its tug crews on the river to watch over 80 barges while the most destructive hurricane in U.S. history roared through was the “legal cause and a substantial contributing cause” of Webb’s subsequent distress. 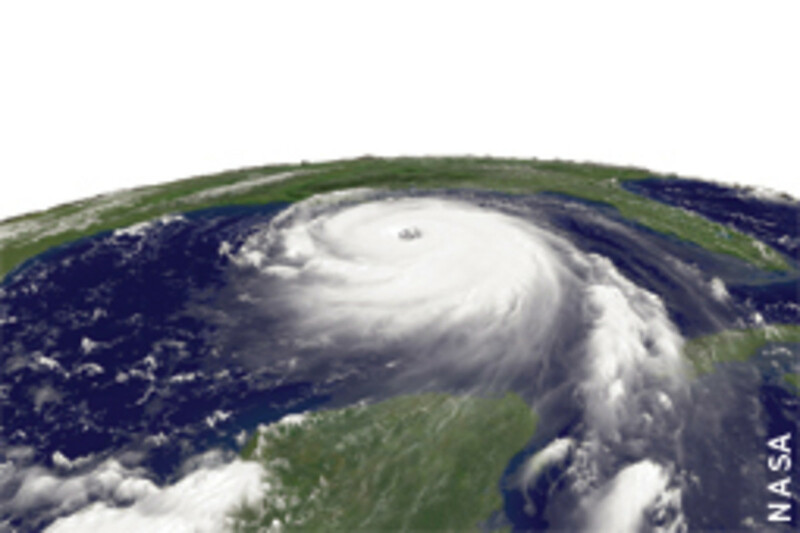 At approximately 7:00 a.m. on August 28, 2005, Hurricane Katrina became a Category 5 hurricane with winds in excess of 160 miles per hour. At 11:00 a.m., Mayor [Ray] Nagin ordered a mandatory evacuation of New Orleans, and President Bush declared a state of emergency in Mississippi, Florida and Alabama. 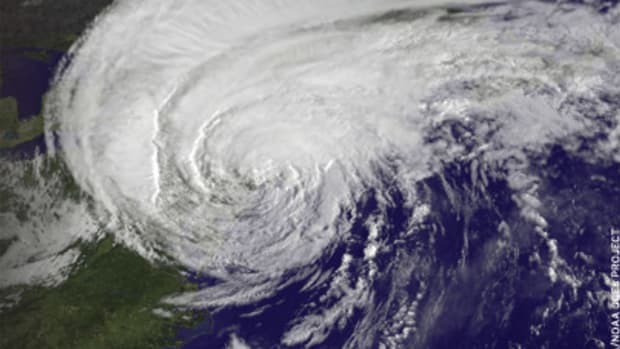 On August 29, 2005, Hurricane Katrina struck the New Orleans area as a Category 4 storm with 145 mile per hour winds. The 53-year-old Webb, of Clarksville, Tenn., chief engineer on the M/V Ann Peters, had heard the week before that a hurricane was bearing down on the Gulf Coast and expected that the harbor tug — assigned to moving barges and building fleets at Teco’s bulk storage terminal in Davant — would evacuate soon, Martin writes. Webb could see that other boats had hightailed it out and wondered when his would get the order to do the same. Late on Aug. 27 or early on Aug. 28, two Teco managers from the home office in Metropolis, Ill., called together the crews of the Anita M and the Ann Peters to tell them “they would be staying and to get ready for the hurricane” despite Teco’s policy requiring the tug master or pilot to look after the crew’s safety and the company’s decision in advance of other hurricanes to evacuate all of its vessels, Martin writes. Other tugs at the terminal were released to seek safe harbor upriver near Baton Rouge, and employees of Teco’s bulk terminal were evacuated, per Nagin’s order. “Webb began feeling apprehensive when he heard [this] decision,” Martin says. The two tugs were put to work corralling 80 barges and securing them with heavy steel cables in a flotilla — a “fortress” — on the east bank of the river. It was a huge job. The crews finished about 7 p.m. Aug. 28. Now they were to ride out the storm on their tugs, which were to serve as anchors for the barges. 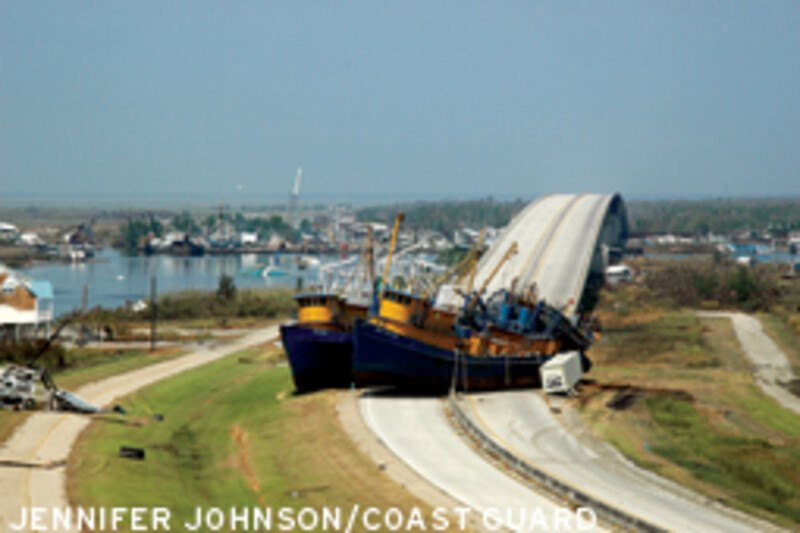 About 10:30 or 11 p.m. Aug. 28 — “just hours” before Katrina struck — the crew aboard the Ann Peters was evacuated to the Anita M, a 170-foot inland river tug with a 6,800-hp power plant, because of concerns about the severity of the hurricane as it thundered toward the Louisiana-Mississippi coast. Webb says this made him even more nervous about what lay ahead. The stress that the crews of both boats were under as the hurricane approached is clear and is illustrated in Ray Franklin’s video deposition. 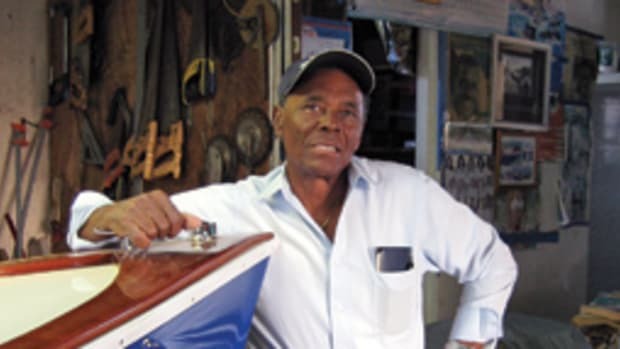 Although Captain Franklin gave his testimony almost four years after the hurricane, when he described positioning the final barge in the barge fort, Captain Franklin — a 29-year veteran licensed towboat captain in command of the M/V Ann Peters — broke down and could not continue his testimony. By 4 a.m. Aug. 29, the flotilla already was breaking apart, the judge says. The tugboats were in the throes of one of the deadliest storms in U.S. history. Sixteen hundred people died in Katrina. The Anita M’s pilot, William Sandage, says the storm pounded the tugs for 14 hours with wind, surge and debris. Once the storm began, the boat began rocking. 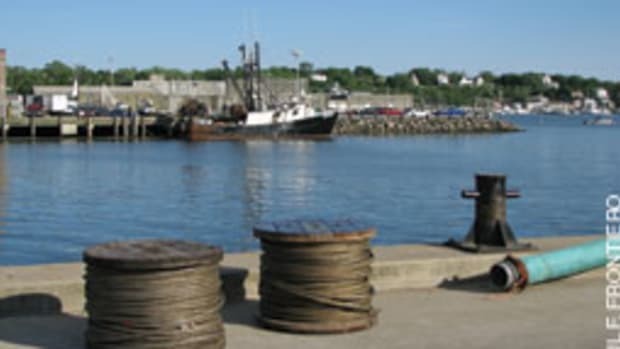 … The steel cables securing the fleet broke and the breaking of these cables sounded like gunshots. 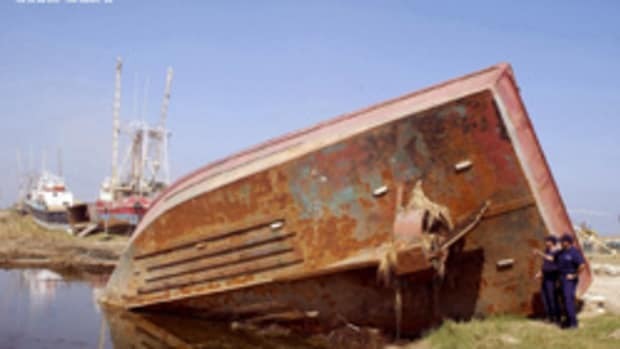 … The log for the M/V Ann Peters for Monday, August 29, 2005, indicates that the M/V Anita M was taking “on water from wind swells from Hurricane Katrina.” During the storm the crew lounge door buckled and water poured into the lounge area. The force of the water burst the door open. When the door burst open, “it sounded like somebody hit the door with a sledgehammer.” Despite running the pumps for half an hour, the crew failed to make headway against the incoming water. Two crewmembers observed a foot of water in the crew lounge, despite the operation of two 2-inch pumps. Finally, someone took a sledgehammer and “beat the biggest part of the door back in.” Someone shoved a medicine cabinet against the door to keep it from coming open again. One of the lounge windows was also blown out and had to be replaced with plywood. Sandage was “between the sticks,” or operating Anita M, when the flotilla broke up and the storm surge began pushing the tugs upriver. The swing meter, which tells when the tug is moving, was showing that Anita M was spinning. Sandage knew he was in danger of colliding with the barges and says that was “really frightening.” He took evasive maneuvers. “I started driving the boat like I normally do, trying to make adjustments and corrections, you know, trying to pull the head down and get the tow flat because we’re going to hit on the other side of the river,” he says. He says the two tugs ran up on the levee on the river’s west bank, a quarter-mile north of where they started. The storm surge carried all of the barges upriver as well, Sandage says. “When you got on the other side of the hurricane, the wind changed directions, tide went back out, the surge went back out, and here all of the barges come back down the river.” Sandage says several crashed into the Anita M, which already was heaving, banging and scraping against the Ann Peters on the levee. Because of the water coming into the boat, the crew had to drill holes in the upper deck and galley to let them drain because there wasn’t any other way to get the water out. The engine room has bilge pumps, and the purpose of drilling the holes was to get the water down to the bilges where it could be pumped out. During this time, Webb was afraid for his life. This intense fear lasted until the hurricane was over, around 11:00 a.m. (the 29th). During this time, Webb feared that he and the other crewmembers would be dying on the boat. Martin said Teco, though acknowledging liability, challenged Webb’s premise that his exposure to Hurricane Katrina on the Mississippi River was a life-threatening experience. 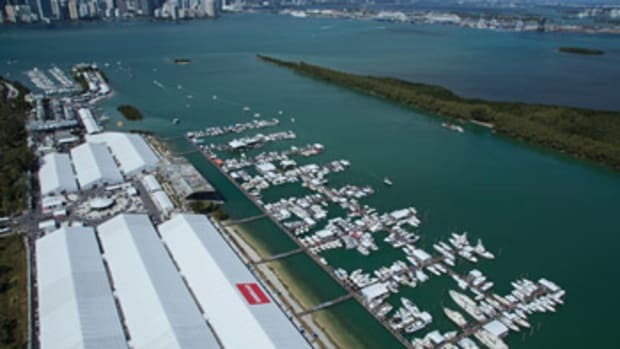 “The defendant’s tack is to admit liability and then to suggest — despite the obvious disastrous decision to ride out the hurricane — that the physical and psychological trauma of having an 80-barge tow torn loose and tossed around by a hurricane along with the towboats adjacent thereto like so many toys in the bathtub was not such a bad ride after all — a lucky strike for the company who took a gamble with people’s lives,” Martin wrote in his order. 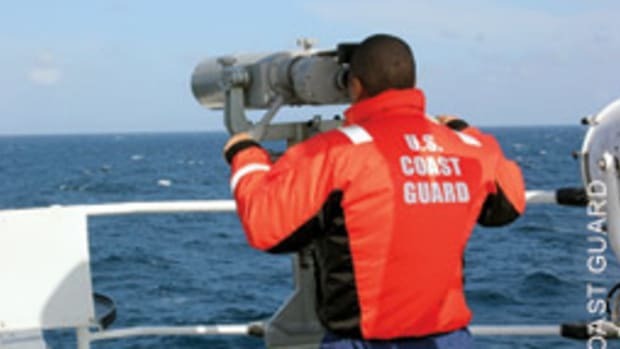 All but one crewmember, who still was employed by Teco at the time of the trial, described their three days on the tugs before, during and after Katrina as a “horrific” event. Martin characterized her testimony for the defense as not believable. Her testimony in this regard was simply a fabrication, an act of perjury, that one can only infer was perpetrated to curry favor with defendant. She is still employed by defendant and has reason to lie on behalf of her employer. [She] seemed blissfully unaware that the M/V Anita M had been tossed by hurricane-force winds, 26-foot waves, spun at least 180 degrees around and had been in danger of flooding. Her testimony did not square with the other witnesses’ observations, or frankly with common sense. The essence of her testimony was that this experience was not much different than another trip on the river in non-hurricane conditions. 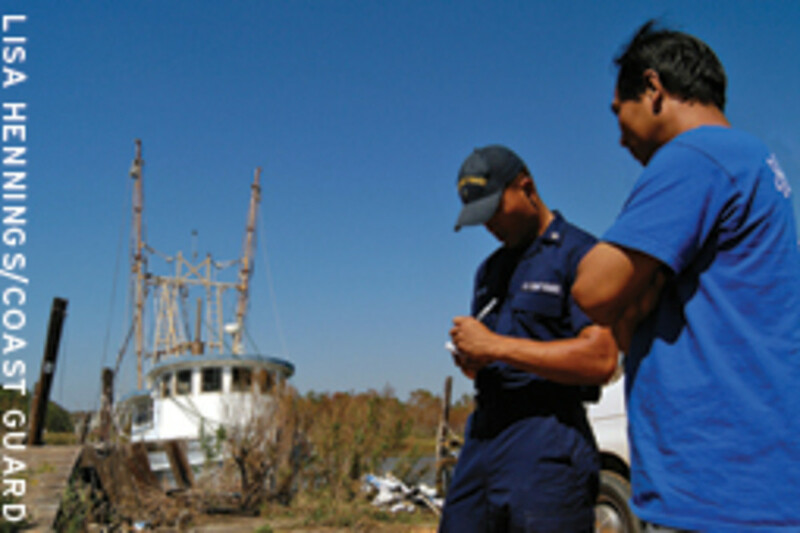 After Katrina, Webb and the other crewmembers were evacuated by helicopter to Houma, La., where a van was waiting. It took them to Metropolis to meet with a psychiatrist in group therapy that “had us all sit in a semicircle [while the psychiatrist asked] us what our story was and what happened to you and things of that nature,” Webb says. Angry, he and another crewman walked out of the session. Webb rode home in the car with his then-wife, Kathy, and when they reached home, he “broke down and cried.” She says from then on there were nightmares, anxiety, shaking. “It was hard for him to talk about [it],” she says. Dr. Michael McGhee, clinical chief of the Traumatic Brain/PTSD Clinic at Fort Campbell, Ky., diagnosed Webb with PTSD, but Teco attorneys argued that his psychological problems were pre-existing conditions. According to testimony or depositions of doctors, family and Webb himself, he also loses his train of thought, forgets things, feels tired or groggy in the morning, has struggled with suicidal tendencies and found it difficult to be around his grandchildren without getting panic attacks. He still harbors a fear of the water that he never had before. He used to boat a lot. “And while I have been back out on a pleasure boat, I wasn’t very comfortable,” he says. The first time he was able to go boating since Katrina was in the summer before the September 2011 trial. “Dr. McGhee believes that it would take significant vocational rehabilitation for Webb to ever function at a full-time job in competitive gainful employment and that it may not be possible,” Martin says. The Court finds that defendant Teco Barge Line Inc. was negligent in failing to evacuate the crews of the M/V Ann Peters and the M/V Anita M. The Court also finds that the M/V Ann Peters and the M/V Anita M were unseaworthy in that they were not reasonably fit to withstand the hurricane to which defendant chose to expose them. The Court finds that the hurricane posed a very real threat to the lives of the crewmembers, including plaintiff, whom defendant ordered to remain at Mile 55 on the Mississippi River. 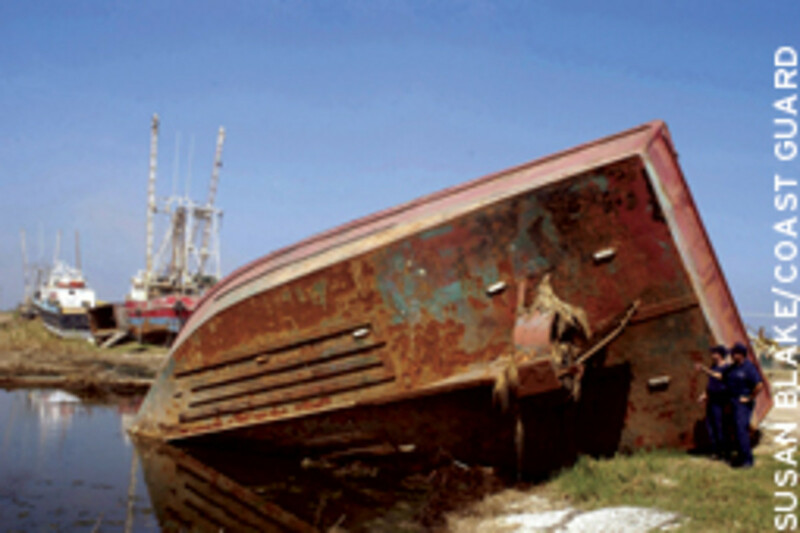 The Court further finds that had defendant ordered the M/V Ann Peters and the M/V Anita M to evacuate at the time that [Teco managers] departed Metropolis, Illinois, for Davant, Louisiana, the vessels would have reached a place of relative safety such that the storm would not have been a life-threatening event.